The story is not your typical murder mystery. The sleuth is not a detective, private eye, or lawyer. He's an ordinary guy with an extraordinary dog. Jacob Martin is trying to make the best of a divorce and mid-life crisis when he gets a call at two o'clock Sunday morning from his mother. His sister has been arrested for the murder of her fourth husband, and his father is near death. Thus begins an adventure that takes Jake and his golden retriever from their Colorado retreat to a backwater town in the Missouri Ozarks. Making rounds to homes one wet spring morning, veterinarian Dr. Kate Turner rescues a family's hamster from a vacuum cleaner then visits an estate whose owners breed champion Cavalier King Charles spaniels. 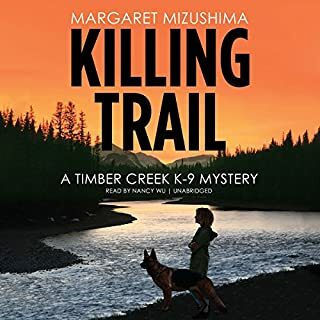 Instead of sharing traditional tea with the couple, she confronts a bloody scene of bodies and 27 blue-ribbon dogs running wild. Police initially suspect a murder-suicide, but when Dr. Kate proves the famous best-in-show champion is missing, a darker reality intrudes. She remembers her grandfather saying that there are two motives for murder: love and money. 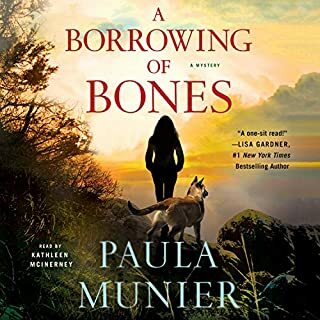 While treating local pets, Dr. Kate discovers suspects and motives everywhere in this charming town filled with people who wanted the couple dead. Was the couple murdered for the money their champion could bring to another breeder? How is their daughter, anxious to rid herself of the pampered dogs, handling the wealth she inherits? Would the celebrity filmmaker living nearby kill to end a multimillion-dollar lawsuit? Did long-buried personal secrets cause the deaths? And what's going on at the office behind her back? Is Dr. Kate in danger? First-time mystery writer Eileen Brady's characters, style, and storytelling bring authenticity and atmosphere in this new "pet noir" series. This was a very pleasant cozy mystery. The characters were realistic and likable and the small community that Kate lives in was the perfect place for murder. I bought the next book before I finished the first one. 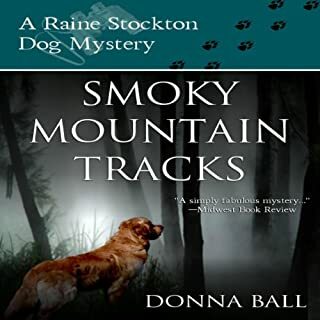 Eileen Brady seems to have found a good new amateur detective, in Dr. Kate Turner, a veterinarian. 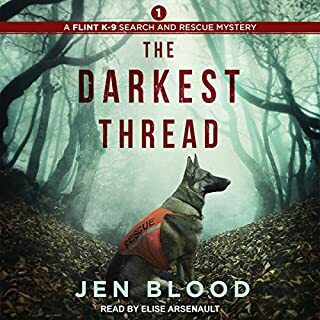 Early in the story, she discovers a murder, and because there are no satisfying solutions turning up in traditional police channels, her own curiosity keeps her digging to find the truth. The characters (human and animal)are interesting and well-drawn, and hopefully will continue into future stories. The narration was okay, Caroline Shaffer does various voices pretty well, though I sometimes felt her inflection was off in a few places. It was a book I had not expected to enjoy as much as I did, but the plot moved along, with a nice balance of conversation, details, never dull, and always kept me wondering till the end. I loved the the animal characters--patients of Dr. Kate's, fun and charming in their own way. I hope this will develop into a long-lasting series. fun story with an interesting plot line and fun cast of characters. I liked that the story line was about more than just the murder. I was looking for a murder-mystery and just finished Dust by Patricia Cornwell. All the mysteries suggested to me seemed to pale in comparison to that book until I came across Muzzled! It completely different. It has an interesting plot but doesn't take itself seriously. 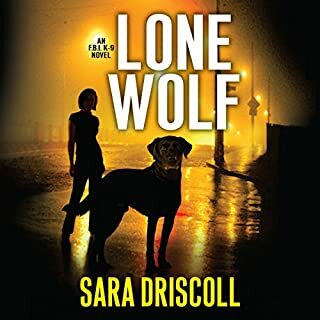 You really feel for our protagonist, and as an animal lover, I loved the descriptions of her interactions with her clients just as much as I loved the murder- mystery aspect. This was a fantastic surprise and I have already downloaded her second book to listen too. The narration was also great. 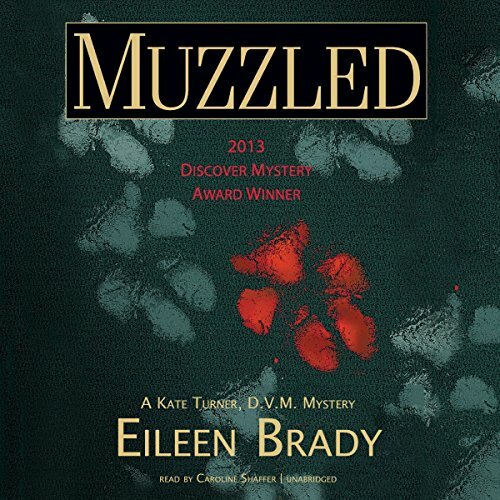 A must for any animal lover who also loves a good mystery! I really enjoyed this book. I had no clue of the offender. I don't want to give it away. The dog show details were researched but there were some holes. But a fun book! Very gentle, considering people get killed. Sometimes a little preachy in giving tips on proper care of pets. Pretty well written. I will keep reading this series. Kate Turner is four months into her year-long contract as the substitute veterinarian covering for the practice owner, who has gone on a round-the-world tour. It's life in a small town in upstate New York, and it's a practice that does house calls. but Kate is starting to settle in and enjoy it. 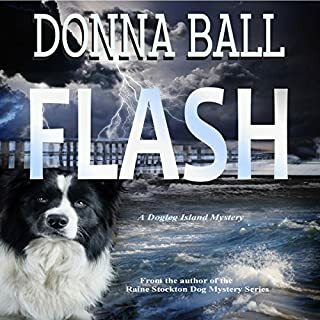 But on this particular rainy day, she arrives at the home of the Langthornes to find their door open, all their 27 Cavalier King Charles show dogs running loose in the house, and the Langthornes dead--gunshot wounds to their chests. She calls 911, and her life starts to get very, very complicated. No one believes her when she says that the twenty-seven dogs don't include the Langthornes' most valuable dog, Charles Two (or possibly Charles Too; I listened to the audiobook. ), is missing. Since the Langthornes refused to either tattoo or microchip their dogs, there's no way for her to prove it. Convinced on relatively little evidence that the police just aren't taking case seriously enough, Kate starts nosing around, asking questions, and taking notes. Her concern over the dogs spikes when it becomes clear that the Langthornes' estranged daughter Pippi is only interested in dumping them as as quickly as possible, getting as much money as possible for the valuable dogs. Kate's inquiring mind uncovers multiple possible motives for murder. Meanwhile, there might be something funny going on at the veterinary practice. Are they losing clients? Gaining clients? Is this really unrelated to the murders? Is it really a good idea to go around asking questions of potential murderers? Kate is a likable, smart character who loves animals and is very, very good with them. Sadly, when it comes to dealing with people on matters unrelated to their pets, she has much less insight and common sense. There's a lot to enjoy here, but sometimes I really wanted to give Kate a good shake. No dogs die in the course of this novel. Also, in a very nice touch, the daffy chihuahua owner Daphne, makes clothes for her little dog--and Kate, initially somewhat put off by this, takes at good look at them. And concludes that, in a surprise to exactly no one who has small dogs who get dressed regularly, that these clothes are well-made and well-designed, and could be really useful for dogs who need to be kept from licking and chewing at incisions and injuries. Daffy Daphne turns out to be an indulgent but smart and devoted dog owner. All in all, I enjoyed this a lot, though there are certainly things to complain about, and I'll probably read more books in the series. It's so rare that small dogs and the owners of small dogsdu aren't portrayed as dumb, annoying fools. This book is interesting and fun to listen too, keeps u in suspense of how did it?